We have more at our fingertips now than we ever have – anything we want to know is just one Google search away. Content is king – and with it being the backbone of solid inbound marketing strategies for businesses, you’ll want to ensure that your content is that great content recognized by Google. Once you can identify who your competitors are and what their content has to offer, you can outperform them, and offer value to your audience that your competitors aren’t. 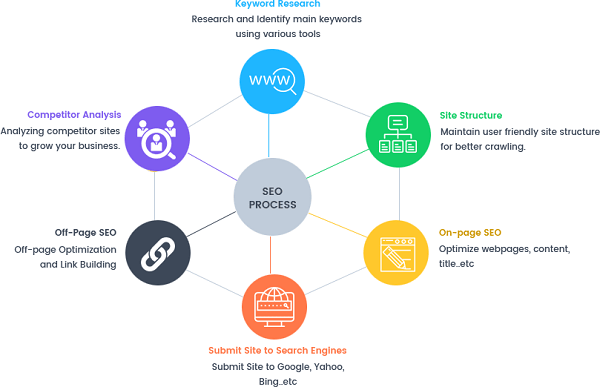 Not only will you need to spend time brainstorming blog ideas, but you’ll need to research the topic you’re writing about and the keywords for search engine optimization (SEO). The SEO of your content is extremely important when it comes to writing content that ranks. One thing to keep in mind, though: use keywords carefully. If your keywords aren’t placed naturally, Google can penalize you for keyword stuffing, which will counteract your efforts. The length of your content doesn’t necessarily make or break its success, but it is proven that long-form content typically ranks better than short-form content. Take an eBook for example. An eBook is considered long-form content because it offers a more in-depth discussion and expertise on the topic. Long-form content also gives the author more opportunities to strategically place keywords so that they are used naturally throughout the content. The more specific your title, the better. Your title should give readers a clear understanding of what your content is going to cover. Having a vague title gives potential readers no reason to read your article. If they don’t know what they’ll gain from reading, they won’t waste their time. Your title should have an attention grabber – something to hook the reader in, and it should be specific. A great rule of thumb to follow when choosing an effective title: a promise of value + how will it help the reader. You’re telling the reader what they’ll be learning in the article, as well as promising them additional tips and examples to help them along the way. Find good linking candidates and reach out to them. When looking at your competitors’ content, check out what sites are linking to their site. Once you’ve identified some good linking candidates and have written valuable content, reach out to those sites and ask them to link to your site. Link diversity. Google specifically recognizes link diversity. You’re better off having links from a wide variety of sites than having a lot of links from one site. Anchor text. Google understands that the hyperlinked text that points to another site’s content is a good reference to what that linked content is about. For example, if the anchor text of an outbound link is CRM software, that tells Google the linked article is about CRM software. Having a diverse anchor text portfolio around inbound links is also important, as Google can penalize websites for trying to game the anchor text system. Outbound links are from your website to another website. Although they aren’t as important as backlinks, they do play a part in improving your site’s search ranking. These links not only add value to the visitor’s experience, but they also boost the authority of your site. They’re generally a link to a research source or related content to enhance the reader’s understanding of your content. Internal links are hyperlinks that point to other pages on the same website. So basically, you’ll want to interlink relevant content on your site so that search engines can understand how your content is related. This allows search engines to identify the most important pages on your site which will ultimately ensure your content is more easily found by users! You’ve put a lot of time into researching, writing, editing, and publishing your content, but promoting is equally as important, if not more. Without promotion, no one will read, or even see, your content. Believe it or not, how people engage with your content (or don’t) affects how your content appears in search results. So, because user engagement influences SEO, ensuring that interaction actually happens becomes extremely important. 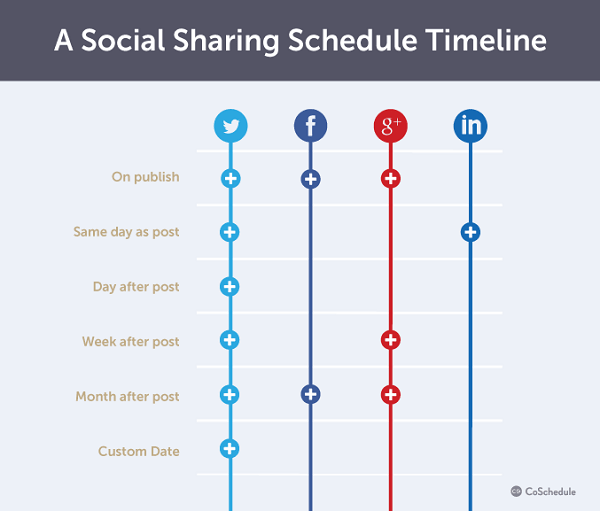 A fast and easy way to start promoting your content: master your social sharing. The more you create and schedule regular posts to spark interest in your content, the faster engagement will increase. Tweet tips and quotes from your content, share an infographic on Facebook or LinkedIn, post Snapchat Stories or on Instagram with snippets of your content to pique curiosity. The possibilities are endless! But be sure to provide links to the content and your blog to ensure you’re boosting reader engagement. We get it – creating top-notch content can be difficult. But now that you know how to create valuable, high-quality work by following these six steps, your content will be ranking in no time. Install ShareThis’ Snapchat Follow Button to start growing your ShareThis audience today. It takes just minutes to install!